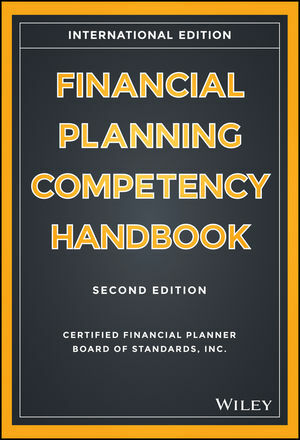 Financial Planning Competency Handbook, Second Edition is the essential reference for those at any stage of certification and a one-stop resource for practitioners looking to better serve their clients. This fully updated second edition includes brand new content on connections diagrams, new case studies, and new instructional videos, and a completely new section devoted to the interdisciplinary nature of financial planning. You'll gain insights from diverse fields like psychology, behavioral finance, communication, and marriage and family therapy to help you better connect with and guide your clients, alongside the detailed financial knowledge you need to perform to the highest expectations as a financial planner. This book contains over ninety chapters that are essential for practitioners, students, and faculty. Whether a practitioner, student, or faculty member, this guide is the invaluable reference you need at your fingertips. Comprehensive, clear, and detailed, this handbook forms the foundation of the smart financial planner's library. Each jurisdiction has its own laws and regulations surrounding financial planning, but the information in this book represents the core body of knowledge the profession demands no matter where you practice. Financial Planning Competency Handbook, Second Edition guides you from student to practitioner and far beyond, with the information you need when you need it. Certified Financial Planner Board of Standards, Inc. (CFP Board) is a non-profit organization acting in the public interest by fostering professional standards in personal financial planning. CFP Board sets and enforces the standards for CFP® certification, the recognized standard of excellence for personal financial planning. Individuals who successfully complete CFP Board's initial and ongoing certification requirements—including requirements related to education, examination, experience, and ethics—are awarded the right to use the CFP® certification marks. CFP® certification identifies financial planners who are true professionals in one of the fastest growing and exciting careers today, allowing the public to find professionals qualified to provide competent and ethical financial planning services delivered with a fiduciary standard of care, putting the client's best interests first. CFP Board is located in Washington, D.C.
http://www.wiley.com/go/cfp2egetaccess Have an e-book and need an access code for the online test bank? Follow this link to register for one.